Word on the Street was a lot of fun on a brisk, Saturday afternoon, Sept. 23 outside the downtown Lethbridge Public Library. Local Jazz/ rock/ Celtic band The Junkman’s Quire, clad in toques and jackets played their usual upbeat set of Cello tinged folk and Celtic music. 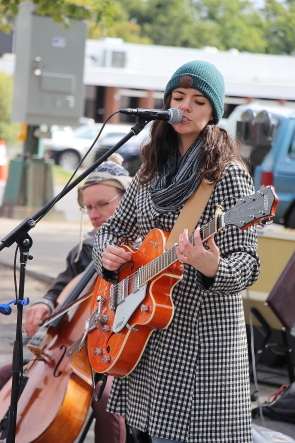 Megan Brown strummed guitar and sang as frontman George Fowler sat and played cello. As expected, Word on the Street is all about books and reading. I took in parts of several panels on Blackfoot storytelling and learned a little about the meaning behind pow wow drumming. 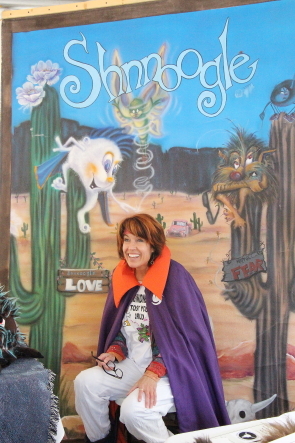 Other tents featured an assortment of authors reading from their works, while a panel of mystery writers answered questions from a curious crowd about where their ideas come from. 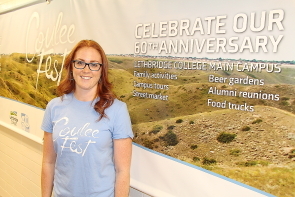 Lethbridge College celebrates 60 years with Couleefest, a big free party in the middle of campus, Sept. 23. “It’s a big celebration for the College’s 60th anniversary,” summarized organizing committee Chair Kari Bird, noting the event has been a collaborative effort between students, faculty and all of the departments. “ We felt we should something special for our sixtieth anniversary, so we thought holding a big, free party on campus would be perfect,” she continued. 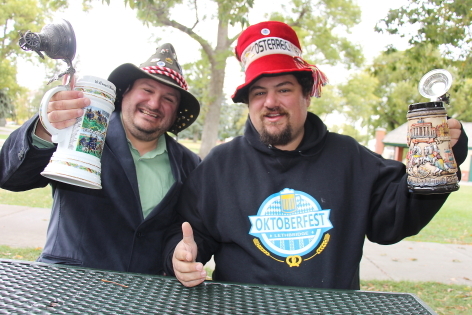 There will be events both indoors in the food court as well as a beer gardens outside where four bands will be playing beginning with opening ceremonies at 1:30 p.m. with eight Indigenous dancers and drummers. They will be followed by local country band Hurtin’ around 2 p.m., then local blues rock band the Steve Keenan Band will follow around 3 p.m.. Local funk/ rock/ disco/pop orchestra Hippodrome will be on stage around 4:15 p.m. and Calgary based east Coast style band 3 Finger Shot, will end the festivities with a set at 6:15 p.m.
Get the Word, outside the Lethbridge Public Library downtown, Sept. 23. 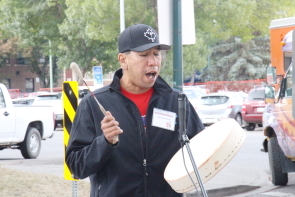 Another exciting Artsfest begins with the seventh annual Word On The Street, Sept, 23 outside the downtown branch of the Lethbridge Public Library. “There will even be a life sized ‘Where’s Waldo,” noted festival director Elizabeth Hegerat, noting there are a few new features this year. Word on the Street have expanded the kids’s tent this year with appearances by authors Margaret Ruurs (Stepping Stones), “ Governor General Award winning author and illustrator Barbara Reed ( Picture A Sky), Ruby Slipperjack (Dear Canada:These Are My Words) Kevin Sands ( The Assassin’s Curse) and Svetlana Chmakova (Brave). She is also excited to feature Ian Hamilton, author of “The Courturier of Milan,” which is part of the Ava Lee series. 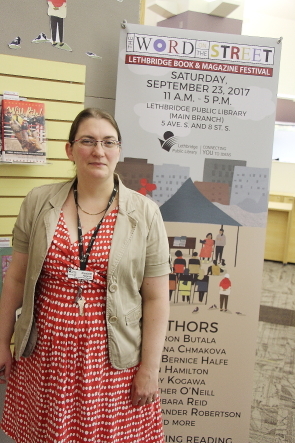 There are plenty of Southern Albertan authors participating including Calgary based author Sharon Butala and local author Richard Stevenson. Word on the Street begins with a Blackfoot Blessing from Elder Francis First Charger who will also be sharing Blackfoot stories at noon, which will be followed by a scavenger Hunt beginning at 11 a.m.
Hegerat is looking forward to a panel discussion “ What To Do If A Cartoonist Moves Next Door featuring Eric Dyck and Sam Hester. There is a bigger Blackfoot presence at this year’s festival with the tipi set up demonstration at 11:15, which will host Blackfoot stories with Francis First Charger at noon, a Blackfoot Language lesson with Beverly Hungry Wolf at 1, a pow wow drumming workshop with Jaron Weasel Bear, at 2 p.m., a Métis culture and history lesson with Rod McLeod at 3 and much more. There are also collaborations with other community groups including the Nikka Yuko Japanese Gardens, who present Story-time with Tad and Tomo at 1p.m. and Nikkei Cultural Society of Lethbridge and area presenting Minyo Dancers at 4:14. 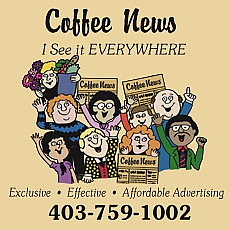 The Lethbridge Pride Fest feature storytelling with drag queens at 3 p.m. But why restrict interest in books and reading to Word on the Street, you can get your library membership renewed for free at Word on the Street. 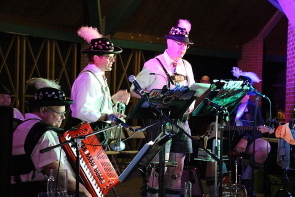 Word on the Street kicks off a week of arts related fun with the seventh annual Arts Days festival, which is part of the 14th annual Art Walk, which pairs local artists with local businesses, in which they will be creating art on the spot in several cases.